The Orange County Museum of Art is well worth a visit these days. 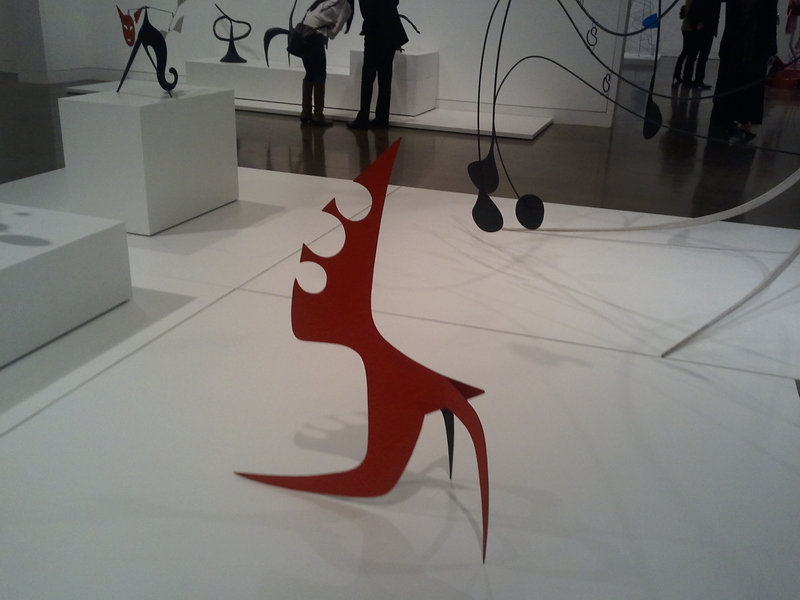 Alexander Calder and Contemporary Art: Form, Balance, Joy opened on April 10th and features quite an impressive number of pieces (about 30) by famous American Sculptor Alexander Calder, the master and inventor of mobiles as an art form. 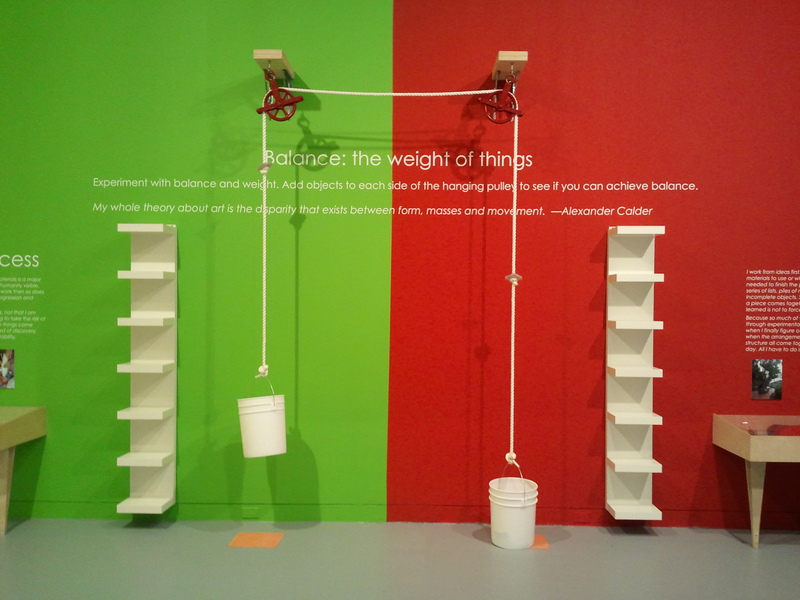 “When Alexander Calder first invented the mobile, he ushered in a new form of sculpture, using free-moving parts to create a flowing kinetic work of art” (What is Kinetic Sculpture? ) Born into a family of well known artists, his father and grandfather were sculptors, and his mother a painter, Alexander Calder did his first piece of art at the age of four in 1902 – a clay elephant. Later on he studied electrical engineering before he dedicated himself completely to his art. Inspired by Mondrian and Juan Miro, while spending time in Paris, his work features bold colors and geometric shapes. 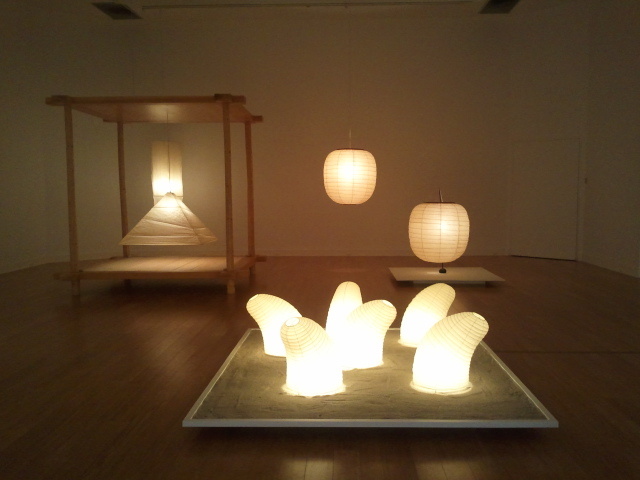 All his work radiates flow and harmony and walking the exhibition at OCMA is an absolute joy to the eye and our senses of esthetics. 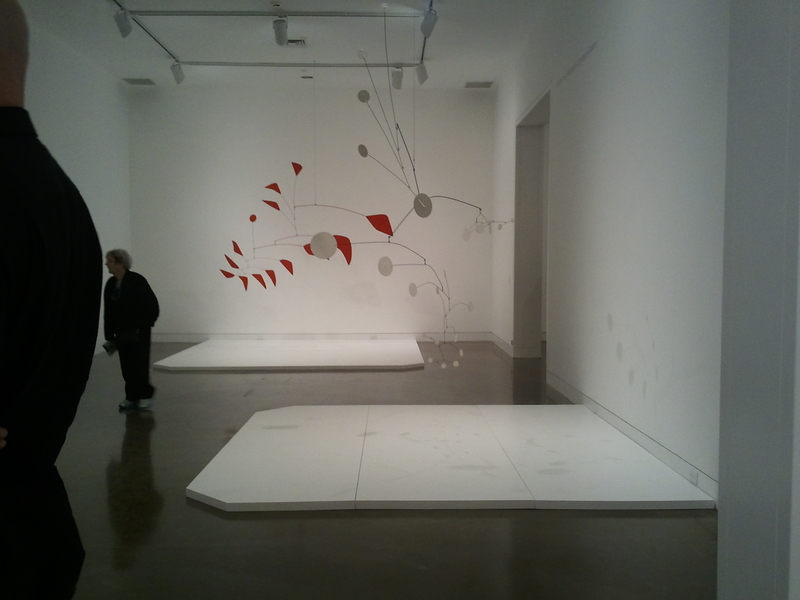 Parts of the show include also other artists’ work who, inspired by Calder, tried a similar style. 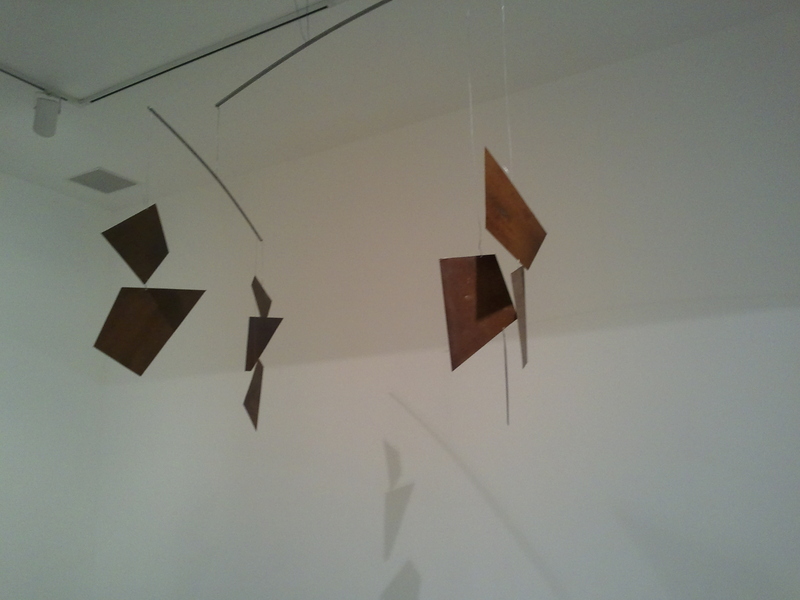 Martin Boyce was my favorite and in my opinion comes closest to the union of esthetics and form as exemplified by Calder. 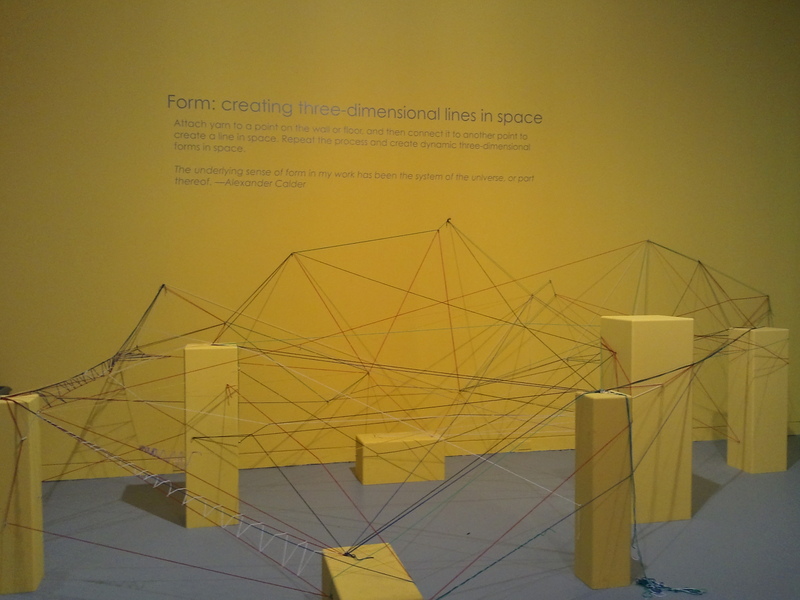 Visit OCMA for Mother’s Day tomorrow. All galleries will be open for free from 11am to 5pm. A special program for children will be offering several attractions from story book readings of “Calder’s Circus” to special Mother Day crafts.